Compact and easy-to-use corn stripper, easily remove corn from the cob in one quick twisting/pushing motion, durable stainless steel blades effortlessly strip kernels in seconds. Quickly add corn to any meal, from homemade salsa to southwestern salads. Stainless Steel and ABS materials,healthy and practical. 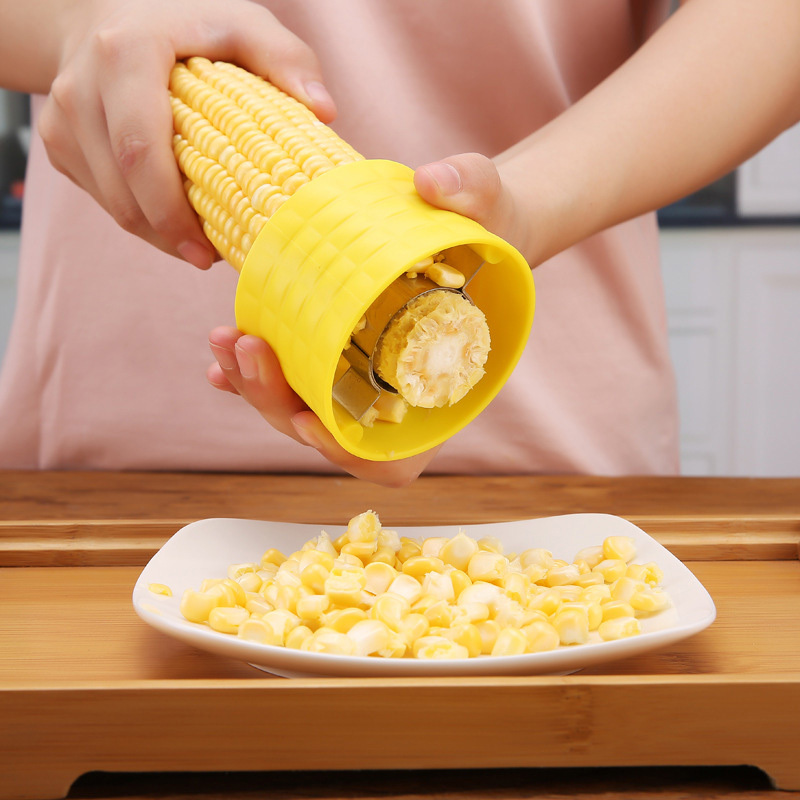 Creative design,help you strip the corn fast and keep niblets perfectly. Do not affect corn taste,simply usage,clean stripper,clean corn. 1.As different measuring methods,it will occur 1-3 cm deviation about the items,please ensure that it is okay for you before ordering. 2.Because of different monitors and lamplight,the picture may not reflect the actual color of the item,really thank you for your kind understanding! 3.Corn stripper only,other accessories（if any）irrelevant demo in the picture are not included.